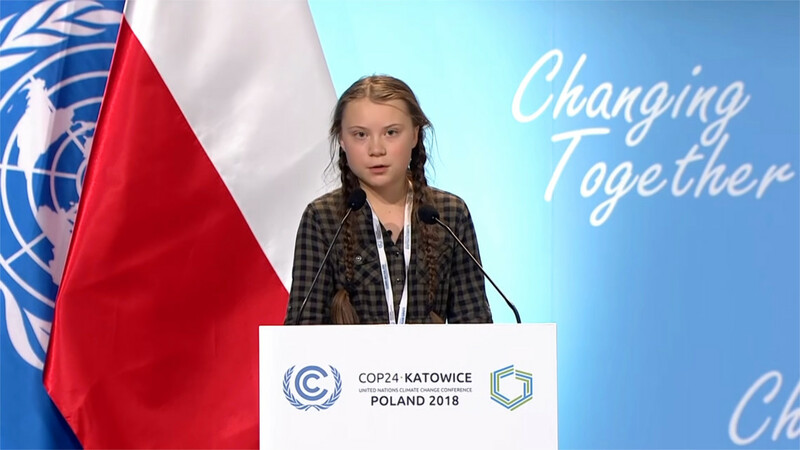 Below is the transcript of the speech of Greta Thunberg at the COP24 in Katowice, Poland. A hearthfelt, harsh speech she gave with a calm voice, addressing the world’s leaders. But to do that, we have to speak clearly, no matter how uncomfortable that may be. You only speak of green eternal economic growth because you are too scared of being unpopular. You only talk about moving forward with the same bad ideas that got us into this mess, even when the only sensible thing to do is pull the emergency brake. You are not mature enough to tell it like is. Even that burden you leave to us children. But I don’t care about being popular. I care about climate justice and the living planet. Our civilization is being sacrificed for the opportunity of a very small number of people to continue making enormous amounts of money. Our biosphere is being sacrificed so that rich people in countries like mine can live in luxury. It is the sufferings of the many which pay for the luxuries of the few.